In the movies, you can always spot an alcoholic — it’s your stereotypical down-and-out drunk passed out at a bar or on the street corner clutching a bottle of booze in a paper bag. 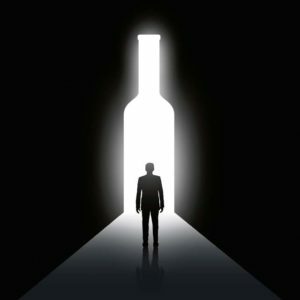 In reality, high-functioning alcoholics can be anyone — a Soldier, spouse, friend or even yourself. The difference is movie magic doesn’t fix a person with a real-life Alcohol Use Disorder, only education, available programs and resources will. During April’s Alcohol Awareness Month, the U.S. Army Garrison Rheinland-Pfalz Army Substance Abuse Program places emphasis on the awareness and education of the causes and effects of alcoholism and alcohol abuse and where people can go for help. Some people simply don’t pay attention to how much alcohol they are consuming, she said. Many times, drinking can be an expectation at gatherings — especially during summer fests, long weekends and holiday get-togethers, which could lead to excessive drinking. People need to gauge their alcohol tolerance, drink moderately and ensure they don’t get behind the wheel of a vehicle, if they have been drinking. If you are hosting a party, don’t overserve alcohol to your guests, offer alcohol-free alternatives and don’t allow guests who have been drinking to get behind the wheel. Army Secretary Mark T. Esper signed a directive March 25 that forms two tracks for substance abuse care: voluntary and mandatory. Soldiers can self-refer for voluntary alcohol-related behavioral healthcare, which won’t affect their deployment status and doesn’t impose command notification like the mandatory treatment track does. Soldiers enter mandatory substance use disorder treatment if a substance use-related incident occurs. Under the voluntary care track, treatment is not tied to a disciplinary process and is an option a Soldier can take before a career-impacting event occurs. Soldiers in the voluntary care track may discontinue care at any time and can also choose to reenter care at any time.